and together we can make a difference. In a global economy, our daily choices for seafood have a huge impact on sea resources and people, even far away. Overfishing to satisfy the demand is a big threat and governments and the fishing sector are working to prevent it. In the meantime, as a consumer, you don’t have to give up [fish and chips]. What you can do is ensure you support sustainable seafood, which has been fished in a way that preserves fish stocks and people who depend on them. Look for MSC or ASC or organic labels that indicate your fish was responsibly sourced from certified, sustainable fisheries or aquaculture. A fish below a certain size is not yet adult, and has not had time to reproduce. Ask your fishmonger to check if you are buying adult fish. In doing so, you will help replenish the seas. 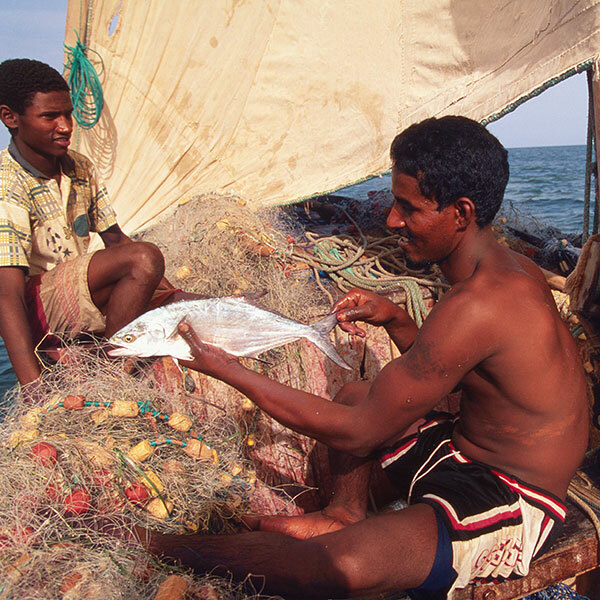 Diversity in seafood consumption ensures a more balanced pressure on marine resources. Biodiversity makes ecosystems stronger. Diversifying your consumption is fun and helps the oceans! In the EU, it’s your legal right to know the full name of the product you’re buying, where it comes from, whether it was caught or bred and how, and whether it’s fresh or defrosted. If it’s not displayed, ask. If you can’t get the answers, don’t buy.